Bulk Reply allows you to reply to a lot of people without having to hit the reply button repeatedly, this can come in handy if you are organizing events or receive a lot of applications or proposals. Select up to 100 email messages in a folder by scrolling down in your mailbox, do not use CTRL+A and CTRL+SHIFT+A as this will not work. Drag and drop them on to the Bulk Reply menu icon. 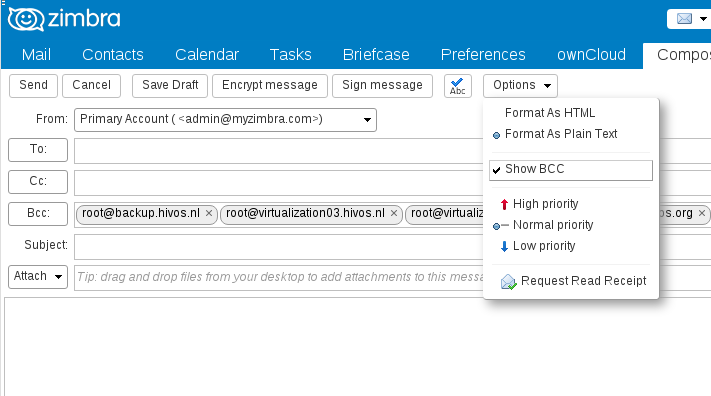 This Zimlet is supported on Zimbra version 8.7.11 and 8.8.9 and above. 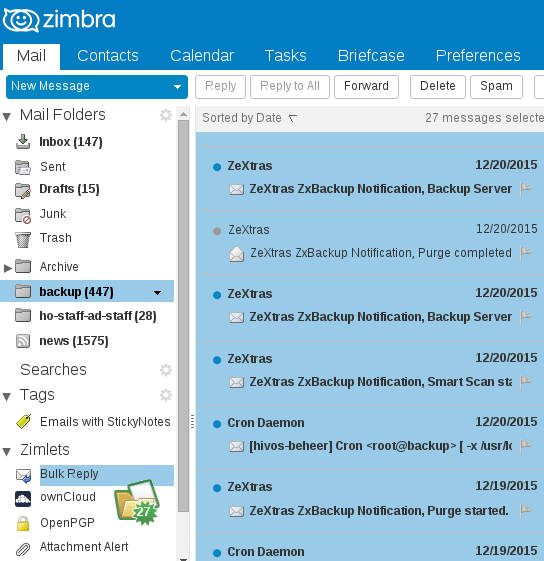 This Zimlet is not available for use in Zimbra Desktop.